A few months ago, I made a thing that looks like another thing. Bet you thought that was actually popcorn. We’re just going to pretend that I remembered to post these in time for the Oscars, instead of the morning of the Oscars. Apparently the E! Red Carpet extravaganza has already started, although I have no idea who is already on the red carpet. Anyways, this will be brief because time is of the essence. I’ll post the cake recipe I used, which is AMAZING and soft and fluffy and sweet. Yes, it uses cake mix, but my little brother said they were the best, so that’s good enough for me. If you don’t have time for all the extra ingredients though you can just make regular cake mix cupcakes. 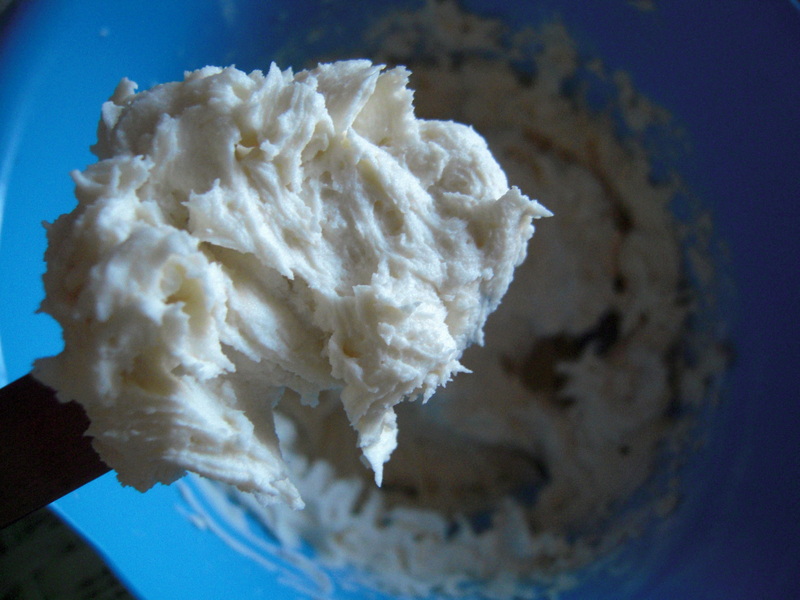 I made a very simple vanilla buttercream for the frosting. I usually turn to My Baking Addiction for reliably delicious frosting, and that’s what I did here. 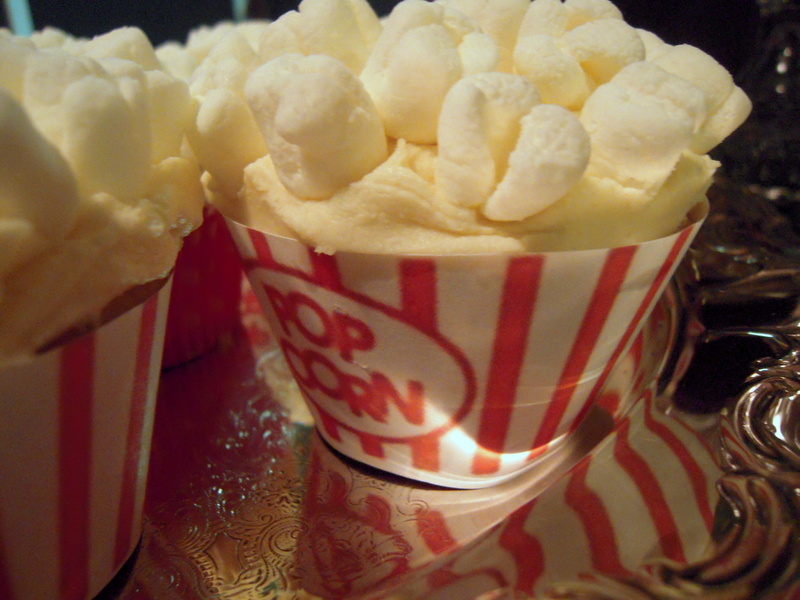 For the popcorn, take a bunch of mini marshmallows. 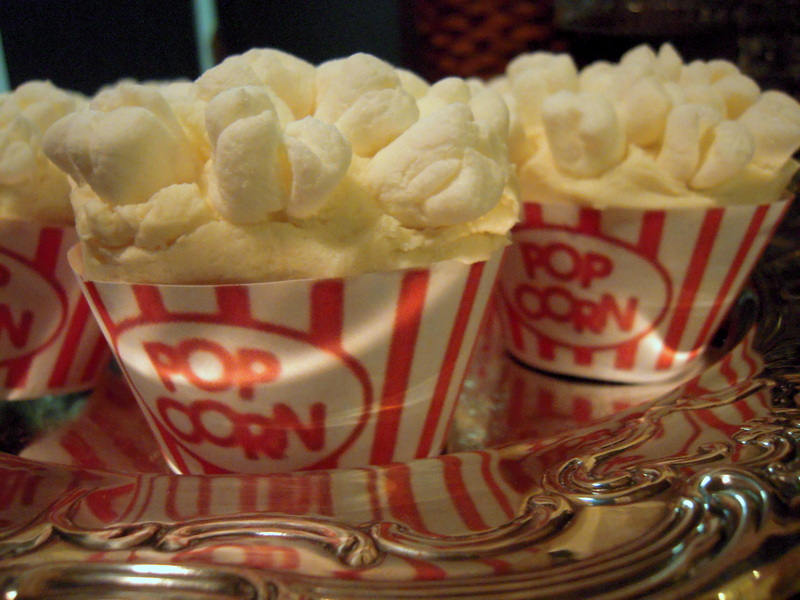 Using kitchen scissors, snip a little “x” into the top so that they expand and look like popped popcorn. Smush these into the frosted cupcakes. 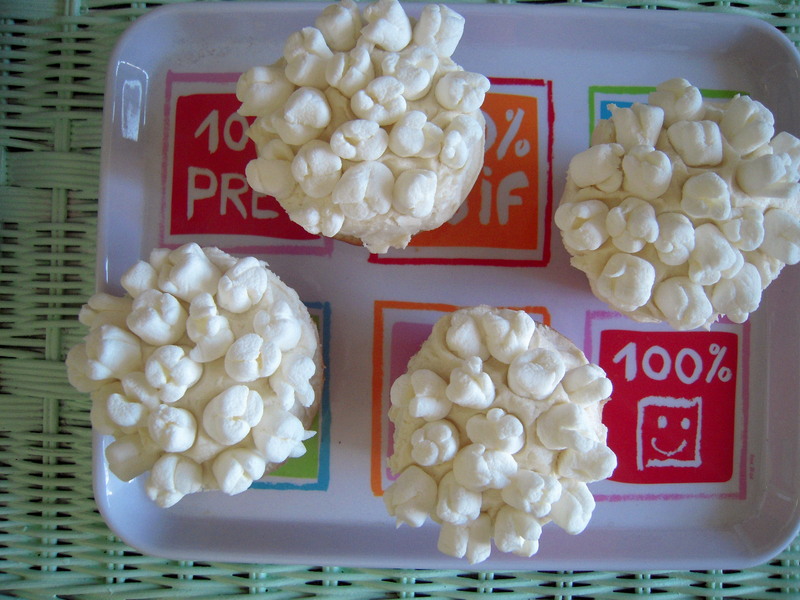 If you want, you can spray a little yellow spray-on icing coloring (you can find it at Michael’s/JoAn’s/cake decorating stores) for buttered popcorn cupcakes. I didn’t go that route, mostly (entirely) because I didn’t want to drive to JoAn’s. Here’s the link for the cupcake wrapper template: just print them out and wrap them around your finished cupcakes. I still baked the cupcakes in red cupcake liners, and just wrapped the template around that. Rave reviews! Everyone was amazed at how adorable they were. I didn’t tell anyone, until now, that there was cake mix in the cupcakes. But I’m clearly not ashamed because there were THAT good. These would be great for the Oscars tonight, for birthday parties, for any movie night, or for any time you want to impress people with how creative you are (aka all the time). And if you don’t make the popcorn topping, please, at least once, try this cake recipe! For your own good. 1. For cake – Preheat oven to 325F with racks in the middle upper and middle lower positions. Line 2 cupcake pans with cupcake liners. Place cake mix, flour, and sugar in a large bowl or the bowl of stand mixer. Whisk together to combine thoroughly. Add all remaining ingredients and beat on low speed until combined, about 2 minutes. Divide the batter evenly among the cupcake pans, filling each cup about 2/3 full. Bake cupcakes for 15 to 20 minutes (or until they spring back when pressed lightly), switching pan positions halfway through. Allow to cool in pans for about 5 minutes, then transfer cupcakes to a wire rack to cool completely. 3. 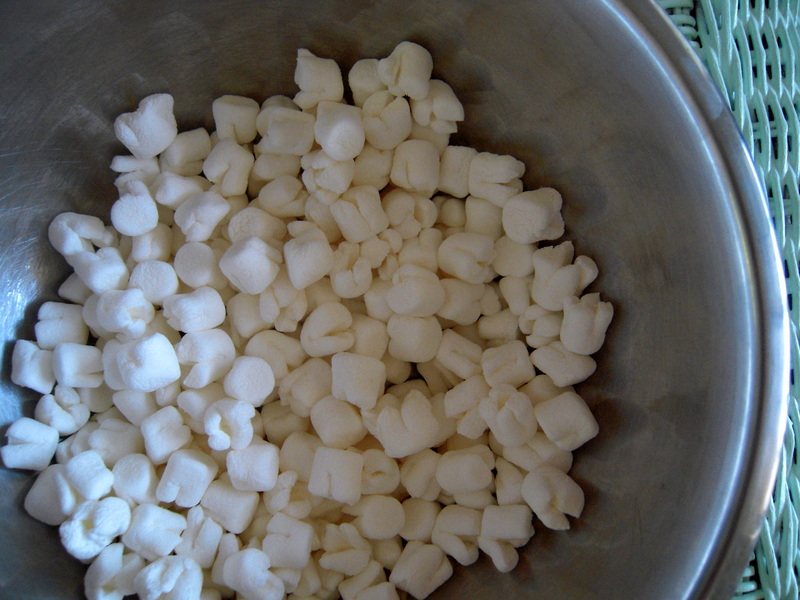 Using kitchen scissors, snip an “x” into the top of each marshmallow, cutting about 1/3 to 1/2 of the way through the marshmallow. Press marshmallows, uncut side down, into the frosting, covering the surface of the cupcakes completely with marshmallows. If using, spray the tops of the cupcakes with the yellow food coloring. Cupcakes will keep, covered and refrigerated, for 3 days (although the marshmallows will get a little hard). Thanks for reading, happy baking!